Dr. Jason Hou considers himself an advocate of nuclear energy and the mission of his research is to promote nuclear energy by investigating advanced reactor designs and developing improved reactor modeling and simulation methods. In particular, he develops accurate yet efficient numerical models to improve the reactor design in various aspects, including the economics, safety, proliferation resistance and sustainability. His area of research interest includes multi-physics reactor simulation, advanced reactor design, in-core fuel management and fuel cycle analysis. Presently he performs studies on the sensitivity and uncertainty (S/U) analysis in modeling of various reactor systems, improvement of high-fidelity reactor core simulator, hybrid Monte Carlo (MC) and deterministic method for core calculations, and homogenization-free time-dependent neutron transport benchmark. He also serves as the coordinator of the Nuclear Simulation Laboratory. 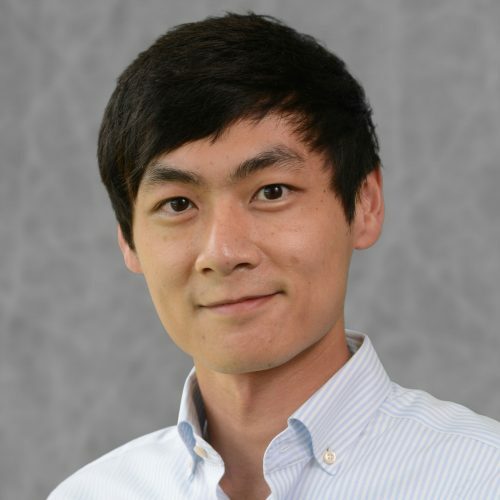 Dr. Hou's research interest includes multi-physics reactor simulation, advanced reactor design, in-core fuel management and fuel cycle analysis, uncertainty quantification and sensitivity analysis in the nuclear system modeling. Li, Q., Jiao, Y. J., Avramova, M., Chen, P., Yu, J. C., Chen, J., & Hou, J. (2018), Nuclear Engineering and Design, 328, 1–9. Hou, J., Ivanov, K. N., Boyarinov, V. F., & Fomichenko, P. A. (2017), Nuclear Engineering and Design, 317, 177–189. Hou, J., Qvist, S., Kellogg, R., & Greenspan, E. (2016), Progress in Nuclear Energy, 88, 58–74. Qvist, S., Hou, J., & Greenspan, E. (2015), Annals of Nuclear Energy, 85, 93–114. Hou, J., Choi, H., & Ivanov, K. (2015), Annals of Nuclear Energy, 77, 335–342. Hou, J., Choi, H., & Ivanov, K. (2014), Nuclear Technology, 186(3), 305–316 . Hou, J., Choi, H., & Ivanov, K. (2014), Annals of Nuclear Energy, 64, 256–263 . The objective of this study is to perform analysis for the OECD/NEA Benchmark of Uncertainty Analysis in Modelling (UAM) for Design, Operation and Safety Analysis of SFRs (SFR-UAM). The benchmark was established formed under the NSC/WPRS/EGUAM to check the use of best-estimate codes and data aiming to design reactors with improved safety performance while preserving a sustainable source of energy at a rather low cost. The NEAMS (Nuclear Energy Advanced Modeling and Simulation) Workbench is a new initiative that will facilitate the transition from conventional tools to high-fidelity tools by providing a common user interface for model creation, review, execution, output review, and visualization for integrated codes. In this study, various tools availabe in the NEAMS Workbench will be utlized to perform the simulation and analysis, including MCC2, DIF3D, and PERSENT etc. Both SFRs core specified in the benchmark will be analyzed, the large 3600 MWth oxide core and the medium 1000 MWth metallic core, for all the sub-cases.